We accept most major Credit Cards/Debit Cards, Electronic Fund Transfers (checking account), and PayPal. If you have a payment type that is not listed above, please contact us to see how we can accommodate you. We accept most major Credit Cards/Debit Cards, Electronic Fund Transfers (checking account), and PayPal. If you have a payment type that is not listed above, please contact us to see how we can accommodate you. Don't know how to launch your business into the Social Media world? Let the experts help! Don't know how to build a website? Let the experts help! If you are not online, a large percentage of the population will not be able to find you. Instead they will find your competitor. We offer simpleservices to get you geared up for success. Don't know how to launch your business into the Social Media world? Let the experts help! Don't know how to build a website? Let the experts help! If you are not online, a large percentage of the population will not be able to find you. Instead they will find your competitor. We offer simpleservices to get you geared up for success. Postcard Wizards prints and mails millions of targeted postcards every year and conducts mailing campaigns all over the country. We use our wealth of experience and unique consumer data to conduct the most effective and efficient direct mail campaigns for each and every unique client. Postcard Wizards, 3730 S 149th St #103, Omaha, NE 68144, 402-403-3146, Toll Free 877-700-1990. Postcard Wizards prints and mails millions of targeted postcards every year and conducts mailing campaigns all over the country. We use our wealth of experience and unique consumer data to conduct the most effective and efficient direct mail campaigns for each and every unique client. Postcard Wizards, 3730 S 149th St #103, Omaha, NE 68144, 402-403-3146, Toll Free 877-700-1990. AllMedia Inc. specializes in providing targeted media for measurable results. Our Account Teams provide expert advice to marketers around the world regarding the purchase and use of email, postal and telemarketing prospect lists and related services. AllMedia Inc. specializes in providing targeted media for measurable results. Our Account Teams provide expert advice to marketers around the world regarding the purchase and use of email, postal and telemarketing prospect lists and related services. At ‘iti Direct Mail’ - we offer you low-cost, easy and professional, printing and mailing services! We specialize in ‘targeted direct mail marketing’ for small to mid-size companies in the US, connecting you with your target audiences. From letters and envelopes, in beautiful hand-written and calligraphy fonts, to professionally designed templates –we offer them all as part of our range of products! At ‘iti Direct Mail’ - we offer you low-cost, easy and professional, printing and mailing services! We specialize in ‘targeted direct mail marketing’ for small to mid-size companies in the US, connecting you with your target audiences. From letters and envelopes, in beautiful hand-written and calligraphy fonts, to professionally designed templates –we offer them all as part of our range of products! Tier 3 offers a comprehensive array of marketing services for clients big and small. 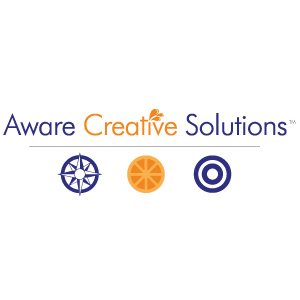 Direct mail marketing, search engine optimization, and internet reputation management are just some of the services we offer. 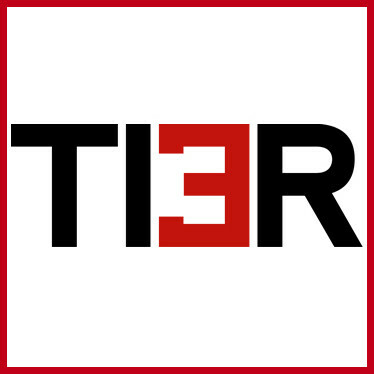 Tier 3 offers a comprehensive array of marketing services for clients big and small. Direct mail marketing, search engine optimization, and internet reputation management are just some of the services we offer. Targeted data lists for direct marketing and sales. We specialize in current bankruptcy data which is greaat for autmotive dealers looking for loan mailing lists. Targeted data lists for direct marketing and sales. We specialize in current bankruptcy data which is greaat for autmotive dealers looking for loan mailing lists. The Primary goal of Print & Mail 4U is to provide you with the best Printing and Mailing service at the Most affordable price. Situated at the heart of Los Angeles we provide the best Mailing Service money could buy. 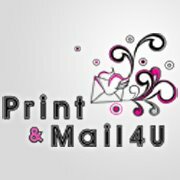 The Primary goal of Print & Mail 4U is to provide you with the best Printing and Mailing service at the Most affordable price. Situated at the heart of Los Angeles we provide the best Mailing Service money could buy. Data Prospects is fast growing company who specializes in Email lists, Email Appending, Data Matching, Data Processing and Custom List Building. Data Prospects is fast growing company who specializes in Email lists, Email Appending, Data Matching, Data Processing and Custom List Building.